I am currently taking part in 'bloggers do it better' this is a challenge given to us by Gemma from blog, Touch of Belle, we are given subjects every fortnight, usually a subject from a magazine and we make it better with our suggestions as bloggers. This is number two, I had a hectic few weeks around the time of post one and was unfortunately unable to take part. This weeks topic is bloggers do bargains better. I'm all about bargains and there's plenty around. Though it's always nice to have an higher end product as a parent or student it's not always affordable, in comes Makeup Revolution, a fantastic quality brand with affordable prices who do higher end dupes for as little as a £1.00. 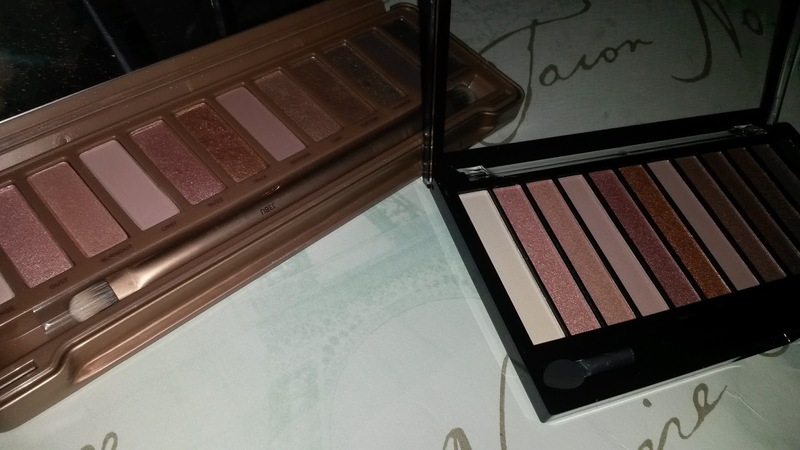 Now, Naked 3 is a firm favourite of mind but sets you back £37.00 that's why Makeup Revolutions Iconic 3 is a fabulous alternative at just £4.00 and they also have Iconic 1 & 2 great dupes for Naked and Naked 2 - Check out my swatch post here. There's many other brands that do great dupes such has Makeup Academy and so on. I love a good bargain and I'm prone to finding them, with the discovery of sites such as Fragrance Direct, perfect for any beauty lover or even Ebay. Whatever you do never settle for first price when searching for certain items always do your research and I guarantee you'll find that item for much, much less. But make sure you add postage to make sure it's worth your while and that you are in fact saving money. Look out for offers in supermarkets and so on, and always grab a bargain at a sale. Three for two's are a fabulous invention. Make it yourself, face masks and so on, you'll be surprised at what you can find in your kitchen that can do just as good of job as a products from the shop. There's also various places you can be bang on trend, getting the look for less. Primark is a good one. Some bargains mentioned above have been mentioned on my blog before, however, since then I have had various new followers and this is also a new challenge, I thought it would be nice to share with others who haven't yet seen these yet. 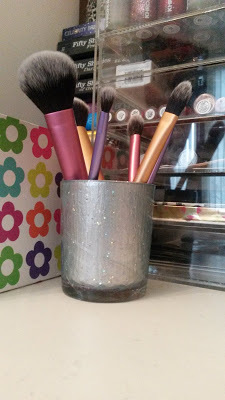 I always recycle peanut butter jars to hold my hair accessories and other items. I've tried homemade facial scrubs too. Great post.